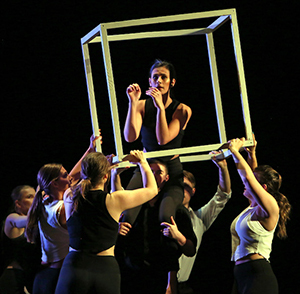 April 3, 2019, Santa Rosa – The Santa Rosa Junior College (SRJC) Dance Department will be performing their Spring Dance concert, Out of the Box on May 3, 4 and 5, 2019 at the Santa Rosa High School Performing Arts Auditorium Theatre. Directed by Casandra Hillman and Tanya Tolmasoff, Out of the Box features sensational new dance work by student choreographers, SRJC dance alumni, SRJC’s talented dance faculty, hard-hitting hip hop by Auxiliary Dance Company. This unique fusion of styles is guaranteed to light up the stage. SRJC choreographers and dancers are selected through a rigorous audition and adjudication process which results in a dance concert of SRJC finest. With the spotlight on creativity and individualism, this year’s production theme is a reverie on discovering singularity, resisting the common-place, and overcoming restrictions. 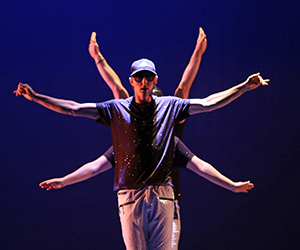 The performance showcases a spectrum of talent in jazz, ballet, avant-garde modern, salsa, hip hop, flamenco, belly dancing, contemporary, and musical theatre dance genres for a dynamic and unique evening of dance. This vibrant performance will highlight the experience of stepping out-of-the-box artistically, emotionally, politically and energetically. Performance location: Santa Rosa High School Performing Arts Theater, 1235 Mendocino Avenue, Santa Rosa 95401. Performance times: Friday, May 3 at 7:00 p.m.; Saturday, May 4 at 7:00 p.m.; Sunday, May 5 at 2:00 p.m.